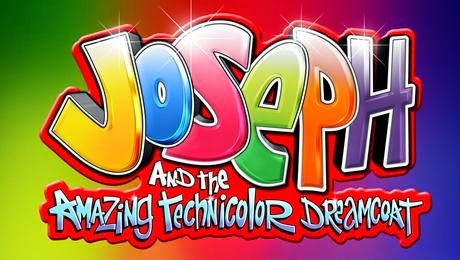 Fresh from painting the town emerald green over the festive period, the Edinburgh Playhouse explodes with colour as it hosts Kenwright’s production of Joseph And The Amazing Technicolour Dreamcoat. The 2015 version of Joseph doesn’t seem to veer from the formula created by recent interpretations. Throw bags of colour onto the stage, a talented ensemble and cast your leading roles from people who have appeared on television. But is it good fit? Way way back, many centuries ago, not long after the bible began… Andrew Lloyd Webber and Tim Rice collaborated to create this insanely catchy musical which tells the Biblical tale of Joseph: the youngest of Jacob’s 12 sons who is gifted the aforementioned technicolour dreamcoat but shortly after is sold into slavery by his siblings. Memorable X-Factor contestant Amelia Lily sings well as The Narrator on what was her first ever show on the tour (a daunting prospect when you remember that the Edinburgh Playhouse is massive) and while her interpretation lacked character, there were sparks of promise when she gained confidence and really let loose with Lloyd Webber’s tunes. Similarly, X-Factor contestant Lloyd Daniels takes the title role as Joseph but ironically fails to provide enough colour or depth to his portrayal to make it memorable. His singing flips between vocal styles and his diction may be poor, but there are flashes of light (the end of Close Every Door, for example) where Daniels lives up to his top billing. Indeed, it falls to Matt Lapinskas as the Pharaoh to set the stage alight with silky smooth vocals and his fun over-the-top performance. Director/Producer Bill Kenwright overloads the production with gimmicky elements like inflatable sheep, a singing Camel, quirky characters and bizarre American football players. In the ensuing camp melee (something I normally love), the emotion and the heart of the story gets a little bit lost. Luckily the score itself seems in safe hands with Musical Supervisor Tom De Keyser’s quirky twists on Tim Rice & Andrew Lloyd Webber’s classics. As a self-confessed Joseph fan, my first experience was getting the cassette tape as an 8 year old and discovering this musical – which is perhaps the best age to discover Joseph. So while those looking for truth & heart in their musical theatre will be disappointed, if you’re under 12 (or enjoy acting like one) then add another star to this review and Go Go Go and get your tickets!